Share the adventure of a lifetime in this revised edition of a multiple-award-winning title. "Fascinating information.., an attractive choice for libraries..."
A lifelong fascination with the desert led Lawrie Raskin to undertake a remarkable trek across the Sahara to the fabled city of Timbuktu. Together with author Debora Pearson, he chronicles his journey to the ancient city -- and beyond. Readers will discover first-hand what it's like to travel over vast seas of orange sand. They'll experience the nasty smell of a camel's breath, learn how to bargain in an African market and read about the roles women play in Moslem societies. Raskin's evocative photographs, including scenes of modern-day life, reflect the many faces of Africa. His enthusiasm and wit shine through as he invites readers to share in his extraordinary adventures and eye-opening discoveries. This revised edition features new text and photographs showcasing how contemporary Africa, from cell phones to skyscrapers, lives alongside the ancient among the sands of the Sahara. 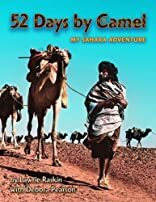 The next best thing to being there, 52 Days by Camel is a stunning introduction to the fascinating culture and breathtaking landscapes of the Sahara desert. About Lawrie Raskin (Author, Photographer) : Lawrie Raskin is a published author and a photographer of children's books. 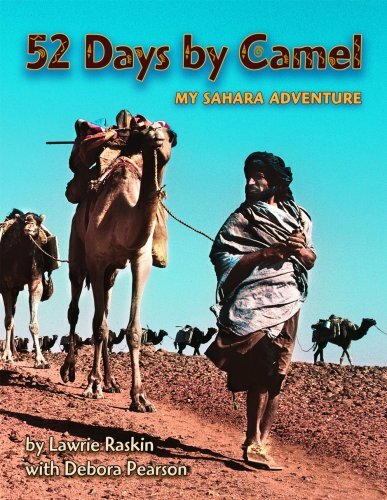 Some of the published credits of Lawrie Raskin include 52 Days by Camel: My Sahara Adventure (Adventure Travel Series).